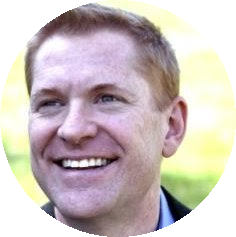 If you recently spoke at an SPS Event or you are planning to speak at an upcoming SharePoint Saturday and want to upload your slides for the people who come to your talk, the process is quite simple and built into the new SPS Events web site. Using the same menu that you logged in with, click the dropdown next to the person icon and choose "Go to my speaker dashboard"
Your speaker dashboard will list all the talks you entered. Choose the one that you would like to add slides or sample code from the list of talks. 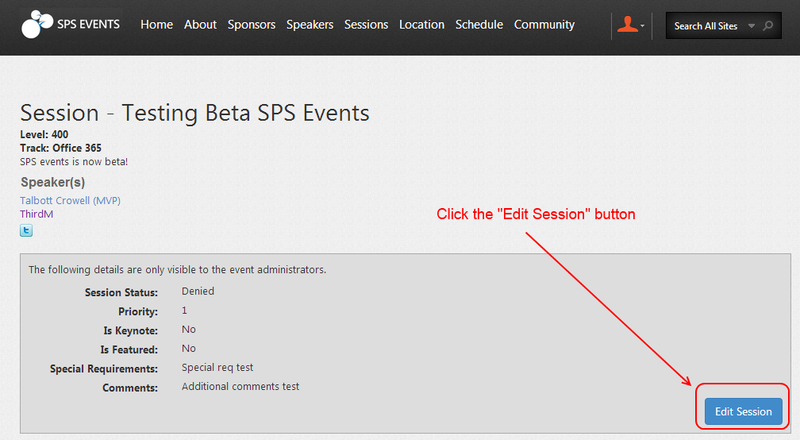 Click the blue “Edit Session” button at the bottom right corner of you session. 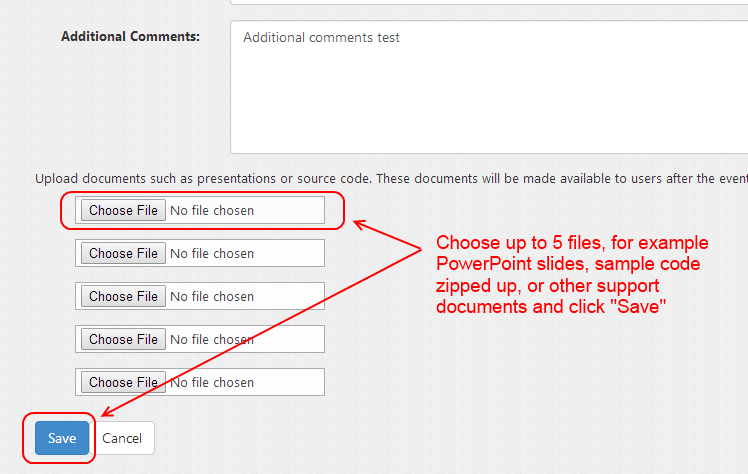 In the final step upload your slides, or other support files. If you have sample code, you may want to zip it up into a single file for easy download. You can choose up to 5 files per session. 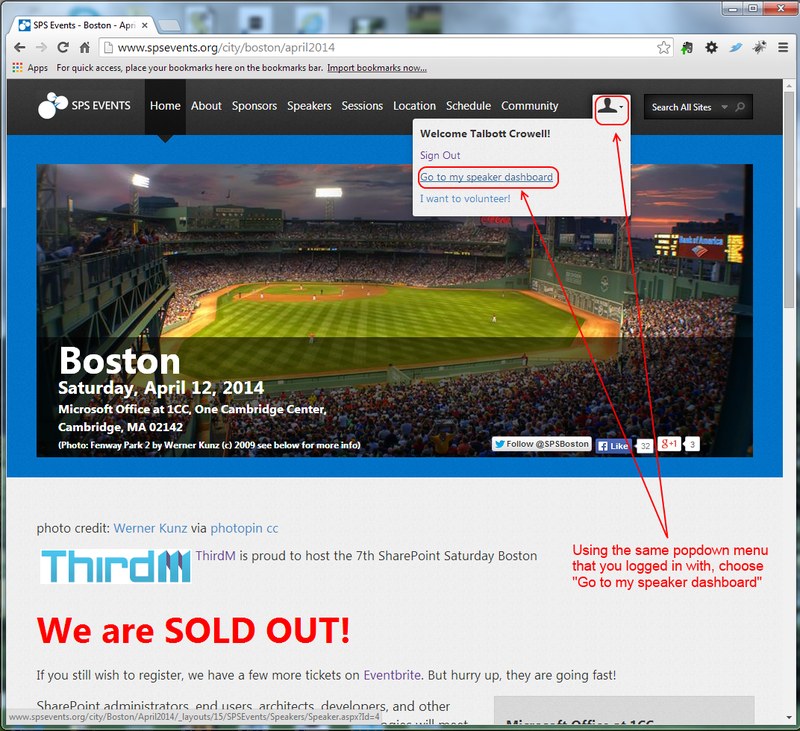 Click save and now your attendees can download your slides! 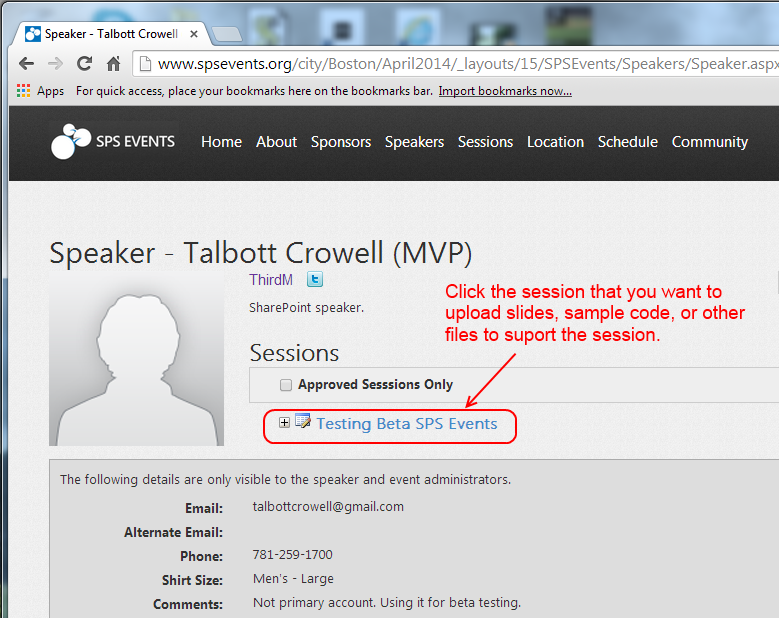 Visit SPSEvents.org now to upload your slides. 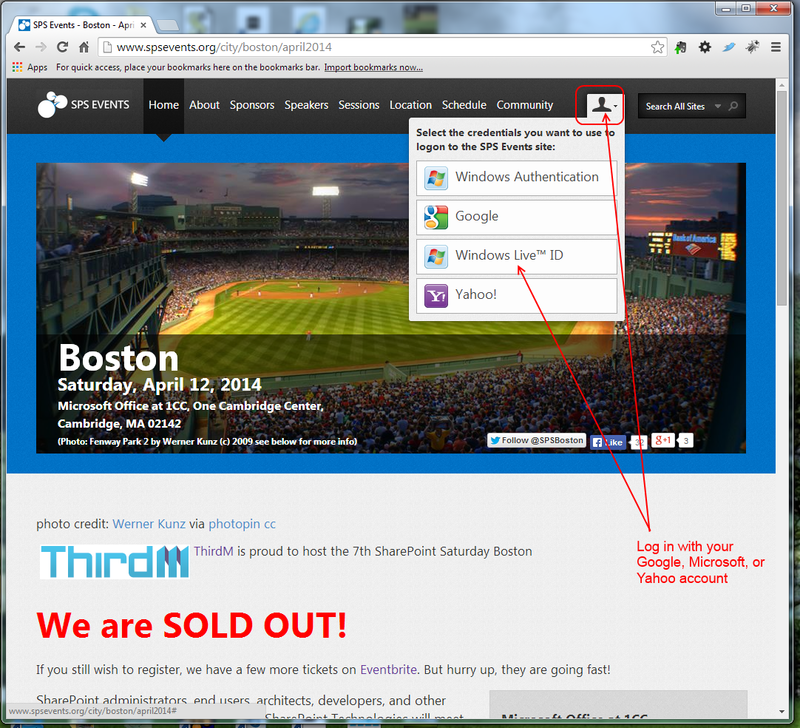 April 19, 2014 in Presentations, SharePoint, SPSEvents.